So you want to put faces to names, eh? Good! Because here at Realty Connect, we like to get to know people, too. You’ll enjoy getting to know our fun and talented team. We are agents. We are real estate rebels. We are architects of amazing solutions. And we work directly with you, providing personalized, unique ideas that cater to your home buying and selling needs. Our team has expertise you can count on. Meet our crew, a diverse and talented team with over 35 years of experience in real estate success. These are the leaders who keep Realty Connect moving forward. We value the mutual, long-lasting respect that comes from doing business together and hope you do too. Working with Angie in fulfilling your real estate goals will guarantee a smooth experience, whether you’re a first-time buyer/seller or otherwise. Angie is a formidable broker with a unique perspective in real estate, allowing you to tap into honest insights that will help you become an informed buyer or seller. She will provide you with the unbiased information you want and need, whether you’re buying or selling a home. The Tulsa area is home to many neighborhoods that offer something different and memorable. Angie’s knowledge of the area will help you zone in on the best neighborhood, and in turn, the best property for you. If you’re a home seller, well-prepared comprehensive market reports and analysis will help you correctly determine the best listing price for you property. 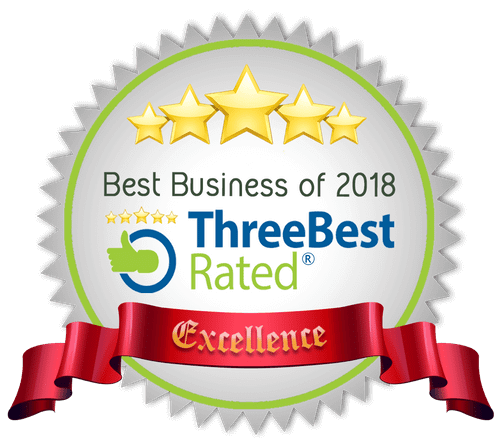 Years of being in the industry has earned Angie an extensive network of trustworthy and reputable contractors, appraisers, and every professional you need in order to make an informed purchase or sale. This will especially come in handy if you’re a seller looking to increase and improve the property value of your home or meeting necessary contingencies to complete a sale. As a buyer or seller, you want an agent who can represent your best interests come negotiation time. Angie’s background will help you successfully close the best deal possible. There’s nothing quite like working with a real estate agent who knows the intricacies of real estate and masters the art of negotiation. Angie has over 20 years of experience, allowing her to successfully close even the most complex transactions and power through difficult negotiations. 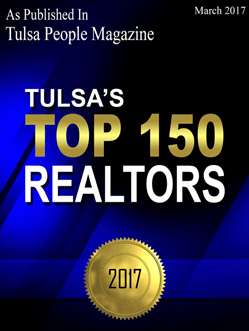 She has consistently been in the top 5 percent of top-grossing real estate agents in the Tulsa area. Her professional ethics are unwavering, which leads her to be responsive, dedicated and working toward your interests. She focuses on clear and honest communication with all parties and has a tireless work ethic. Born and raised in the Tulsa area, Angie and her husband, Vincent, live in Bixby with children at OSU and Bixby High School. When she’s not busy working, she is having fun spending time with her family. Pamela brings a multitude of real estate knowledge, experience, and work ethic to our team. Pamela’s high energy, sense of urgency, along with her out-of-the-box marketing ideas, and unique design talent will provide additional value and benefit to our clients. Pamela previously specialized in commercial real estate consulting, brokerage, and national retail tenant representation across multiple markets and platforms. Pamela attended the University of Florida in Gainesville. She is an Oklahoma real estate broker plus certified professional stager. Pamela currently resides in Bixby, Okla., with her husband, and Millie, their golden retriever. Cheryl loves being a part of the fast-paced world of real estate. You can trust that she will listen to your wants and needs, work hard for you, help you navigate the buying and selling process, and advocate for you every step of the way. Whether you’re a first-time homebuyer, expanding your family, considering downsizing, or investing, she looks forward to bringing her enthusiasm and expertise to help you fulfill your goals. Sellers can be confident and comfortable that Cheryl will sell their homes as quickly as possible and for the best price. Buyers will appreciate her knowledge and relentless search to find the right home. Her extensive real estate sales, paired with her professionalism and strong work ethic, makes her an invaluable member of the Realty Connect team. She was raised in Tulsa but has called Owasso home for over 15 years. She enjoys spending time with her husband and two sons, drinking coffee, watching her kids play soccer, and traveling.